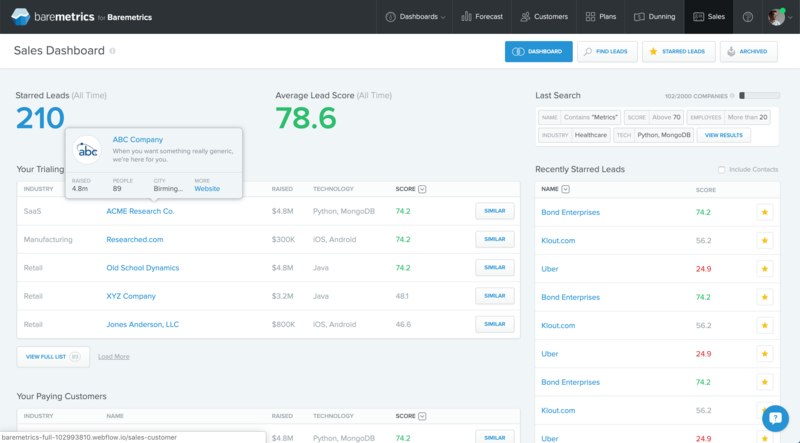 Baremetrics is a leading analytics provider for businesses that generate recurring revenue (SaaS). I worked with their founder, Josh Pigford, on a number of previous projects and I was brought on to help them evolve their core product. In 2015, I used a code-first approach to design important new features that would help differentiate Baremetrics from competitors. 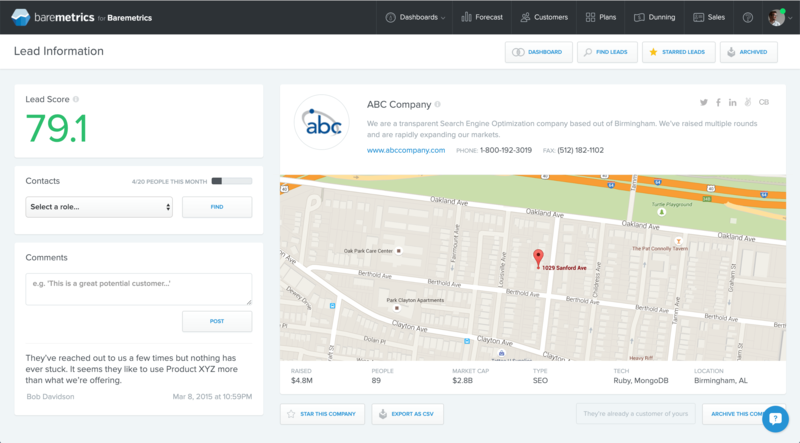 These new features provided a bigger moat and helped users generate deeper insights about their businesses. While my initial work was focused on the product, I would eventually write, design, and code Baremetrics' marketing website. 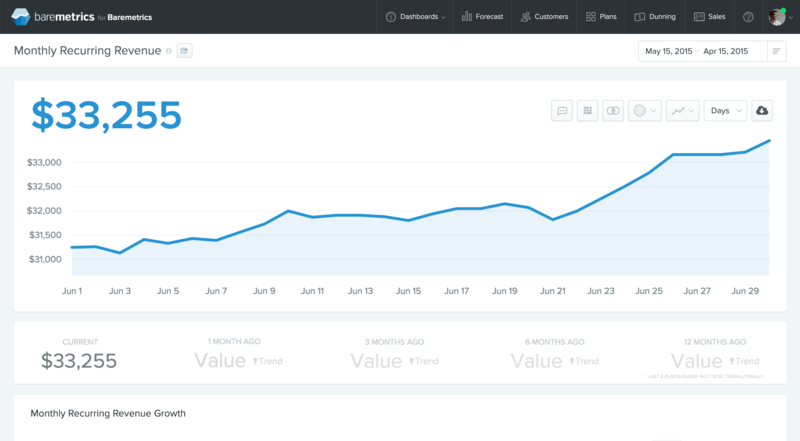 Baremetrics main dashboard. I refined the UI to have consistent structure, styles, and interactions. Dunning (revenue recovery) feature. I created the entire UX from scratch via a coded prototype with little outside direction. Each metric had its own breakdown. As part of this design, I redesigned the datepicker control, which Baremetrics open-sourced. To date, it has been starred by over six hundred developers. Sales dashboard for qualifying leads. 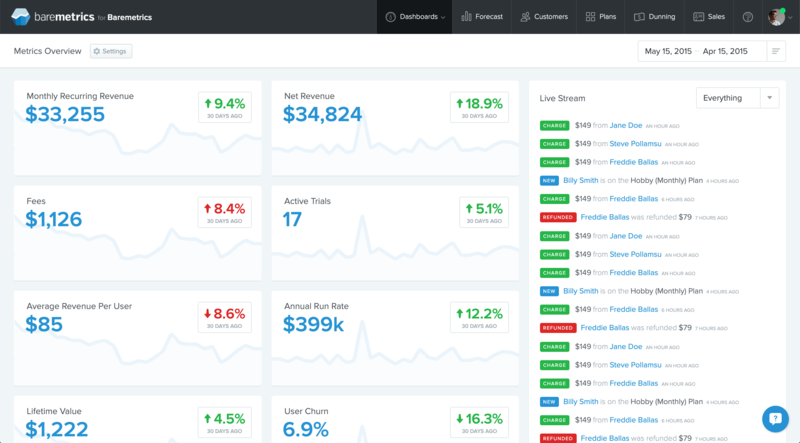 Baremetrics collected valuable data about each user's business. I came up with the design for converting these leads into customers. The Lead detail screen, where a user could find specific contact information for the company and rank it accordingly. When I joined Baremetrics, they were making $30K in monthly recurring revenue (Baremetrics openly publishes their revenue). During six months, that spiked to $45K, which represented 50% growth. The six months previous to my involvement generated about 35% growth. 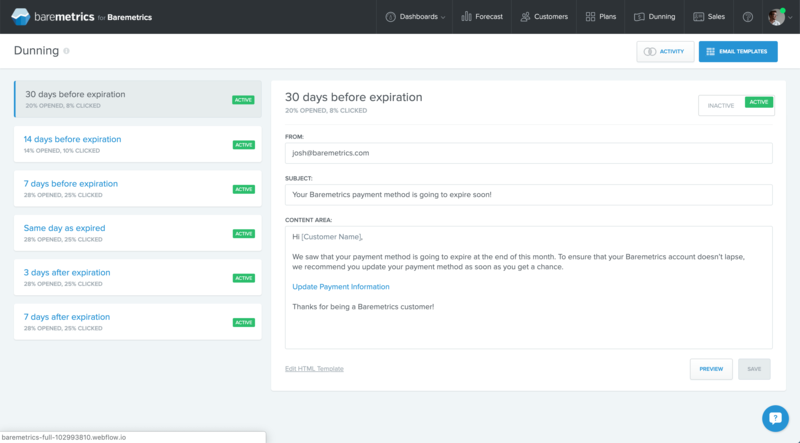 Today, they're generating over $100K in monthly recurring revenue.